The Online Publishers Association of Nigeria (OPAN) has expressed grave concerns over the process and timing of the suspension of Justice Walter Onnoghen as Chief Justice of Nigeria. In a media statement on Monday, OPAN President, Austyn Ogannah said the suspension raises the question of ‘whether due process was followed’. “With less than three weeks to the presidential and National Assembly elections, political parties, candidates and voters must be able to have confidence in the impartiality and independence of the judicial system,” OPAN said. 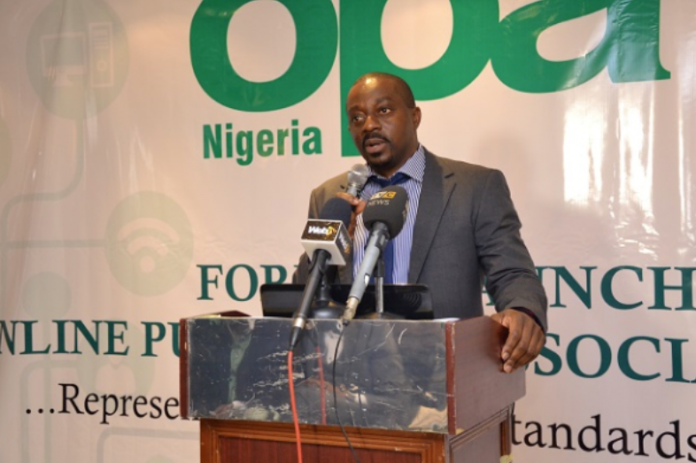 At its Third Annual New Media Conference held in Abuja on January 16, 2019, with the theme, ‘Free Press and Objective Reporting in the 2019 Election year’, various speakers including Vice President Yemi Osinbajo, looked critically at the Free Press in Nigeria and resolved that OPAN should continue to propagate press freedom in the country in order to deepen our democracy. OPAN notes that the Nigerian Constitution recognizes the three arms of government as the Executive, Legislative and Judiciary. No arm of government should usurp the constitutional role of another as any action to the contrary portends a slide into anarchy and complete deconstruction of the Rule of Law and due process. Such could amount to an absolute breach of the Constitution and peace as well as the usurpation of the powers of the Senate and the Nigerian Judicial Council. OPAN therefore calls on all parties to follow all legal processes in line with the constitution of the country to address this matter. “OPAN will continue observing all aspects of the election, including the independence of the election administration, the neutrality of security agencies, and the extent to which the judiciary can and does fulfill its election-related responsibilities,” Ogannah said in the statement.